Our commitment: SMART SAFE SECURE SCHOOLS! Total Education Solutions in Technology, Inc. (T.E.S.T., Inc.) was founded by Liz Cunningham in 1999 as a Montana based woman owned company. T.E.S.T. consults closely with Montana schools to research and provide only the best innovative technology. We are committed to helping schools and educators evaluate, implement and integrate the best innovative educational technology to empower students to discover new understanding and attain individual success in efficient and safe environments. T.E.S.T.’s solutions are always focused on what is best for students! T.E.S.T., Inc was created as an educational training company. After researching effective training and teaching strategies, Liz purchased a SMART Board to use for training. Through the effectiveness of creating dynamic and engaging training using the SMART Board and the interest from school districts in purchasing and implementing the technology into their classrooms, T.E.S.T. became a SMART Authorized Reseller for Montana. T.E.S.T. has organized state-wide technology conferences, provided regional training events, local technology workshops, on-site visits and individual teacher support over the past 20 years. In 2001 through 2004, T.E.S.T. was contracted by the University of Montana to develop and implement leadership and technology training to Montana school administrators through the Bill and Melinda Gates Foundation State Technology Challenge Grant. T.E.S.T. assisted schools in completing a grant required on-line assessment – Taking a Good Look at Instructional Technology (TAGLIT). Through this project, the Montana Office of Public Instruction (OPI) adopted TAGLIT as its state technology assessment for Title II, Part D funding. In 2005, T.E.S.T. acquired the rights to TAGLIT from the Gates Foundation and administered the on-line assessment nationally for K-12 school districts for many years. Liz Cunningham served as a Five-Year Comprehensive Education Plan facilitator for OPI. Through her work on this project, she coordinated a group of eleven school districts in eastern Montana to form a technology consortium and submitted a Partnerships for Student Achievement Through Technology (PSATT) competitive technology grant for high-need school districts funded by Enhancing Education Through Technology (Ed Tech) Title II, Part D of the Elementary and Secondary Education Act as Amended by the No Child Left Behind (NCLB) Act of 2001. The Eastern Montana Technology Education Consortium (EMTEC) was awarded its first round of funding from 2003-2005 as one of six funded grants. Liz Cunningham served as the EMTEC Grant Director. In 2005, T.E.S.T. coordinated groups of schools in 4 regional areas to submit for the second round of PSATT grant Title II, Part D competitive technology grants. All four grants (EMTEC, ACE, LIFT, and M7) were awarded funding from 2005-2008. As project director, Liz implemented two Intel Tech to the Future research-based programs – the Essentials Course and Teaching, Thinking with Technology. T.E.S.T coordinated all facets of the project including technology professional development, lesson development, mentoring, assessment, evaluation, and project partnerships. The love of serving Montana schools continues on through the ongoing research of solutions that best serve their needs. T.E.S.T. is proud to represent companies that are pioneers in their fields and are always leading the way with innovative advancements. 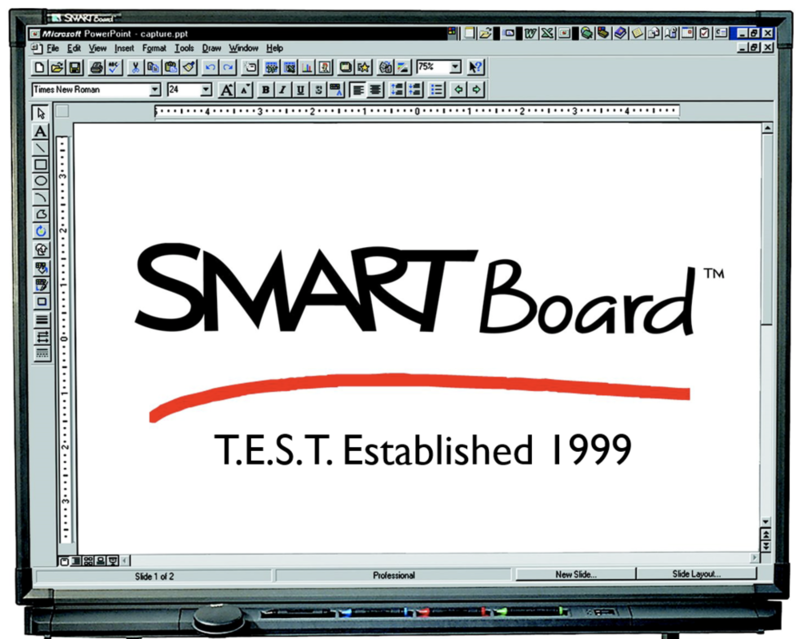 SMART was the founder of interactive boards in the classroom and continues to lead the industry with their new SMART Displays with IQ and collaborative SMART Learning Suite software. Audio Enhancement was not only the first company to implement audio systems in the classroom but continues to incorporate the needs of schools and has added the SAFE (Security Alert for Education) System into their teacher microphones, has the ability to add video cameras into their systems and use View Path to record, store, and share video for instructional solutions and now provides a reliable school-wide Intercom, Paging, and Bells Solution that helps organize students, strengthens situational outcomes and can even help save lives. Avigilon Security Solutions offers the best high definition video security cameras that include cutting edge analytics that help prevent incidents instead of just reviewing them after the fact. Their surveillance cameras also integrate with their access control system, offering solutions that provide the security our students deserve to have. T.E.S.T proudly continues to built a FIRST CLASS TEAM of experts to serve Montana Schools. Our kids are the reason T.E.S.T. has evolved into much more than a training company. We carefully research and offer only the best solutions for schools and provide ongoing support. Thank you for your business over the last 20 years and here is to many more years! !